If you are looking for a great way to stylishly create a semi enclosed space that won't cost the earth then privacy screens are a modern, low maintenance alternative. Offering greater airflow than screens and most other semi enclosing options they are also without doubt one of the most attractive solutions. Along with these attractive elemnts they also add privacy to your enclosed area to give you a feeling of security and class. 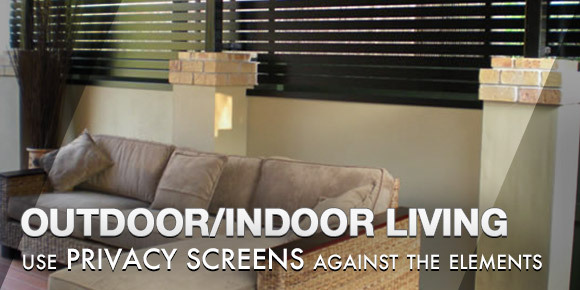 Privacy screens can be designed and engineered to add to the aesthetics for a large number of areas of the home including general fencing, gates, window covers, water tanks and rubbish enclosures. 50 x 50 frame / 65 x 16 flat slats fully welded into frame (40 x 40 optional). 50 x 50 frame or 40 x 40 frame optional. Standard gaps between the slats is usually 20mm OR gap to be requested (ranging from 5mm through to 120mm). 37 x 16 / 100 x 16 slats. Angled, Random or Louvered slats. Frame sizes can be varied depending on individual needs. 2:1 ratio or alternated 65 x 16 / 37 x 16. As you can see FenceCorp offer a great range of choice when it comes to creating an attractive and private area of you home are simply shilding away unsightly elements. 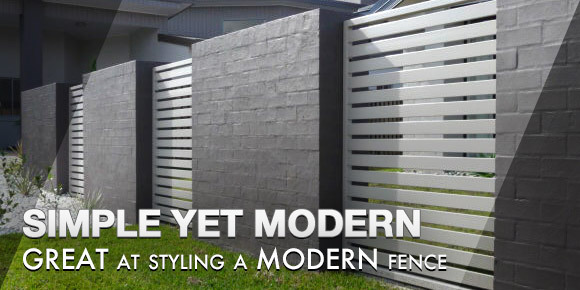 Our full range can be delivered and installed accross Brisbane by our expert fencing contractors. 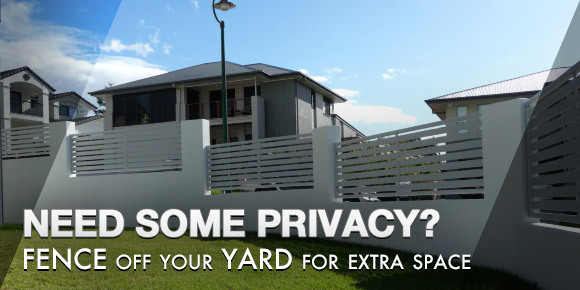 For more information on privacy screens contact the FenceCorp team today.